There are many misconceptions about sleep apnea. When we think of sleep apnea we generally think of that super-unhealthy diabetic uncle who is overweight and snores. The truth is, sleep apnea affects a much larger percent of the population than just your uncle. It also affects the sleep of our loved ones as well. With over 15+ years of experience and a certfication from the American Academy of Sleep Medicine, rest assured Dr. Soileau can best advise you how to sleep well once again. No two mouths are exactly alike as our sleep apnea devices are fully-customized to give you the best possible fit and maximum results. Our non-invasive solution suits patients who may be CPAP intolerant or interested in something more convenient for travel. Chronic sleep loss can severely affect your health and put your heart health at risk. 80 % of Americans go undiagnosed about their sleeping disorders. Sleep loss can lead to constant exhaustion, therefore making everyday life seem difficult.Our solution is convenient and clinically effective so you can get on with your life with full force. The stereotype of a sleep apnea patient is an overweight or obese man who snores. But the truth is sleep apnea affects many more people than just that. Because symptoms are so broad, sleep apnea is oftern misdiagnosed as depression, fatigue, or something else. However, the number of men and women afftected don’t lie. Dr. Soileau has been treating his patients for snoring and sleep apnea here in Lafayette since 1994. One of our key approaches to helping revitalize you is continuous open airway therapy using our fully-custom oral appliances. 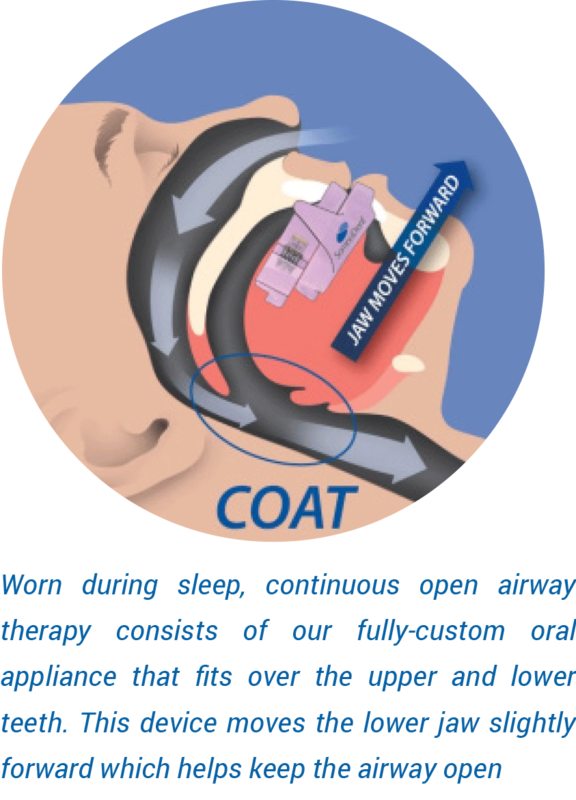 Our devices have been providing tremendous relief for patients who suffer from Sleep Apnea, Obstructive Sleep Disorder or Significant Other Sleep Disorder (a spouse or partner who snores and keeps you awake,) and this device is usually covered with your medical insurance. One of the major advances offered by this alternative is that patients actually wear it.Often times once a patient is diagnosed and is fitted with a C-pap or Bi-pap they wear it for a while but then discontinue its use – if you don’t use it, it won’t help. The wonderful aspect of the human body is its ability to correct itself. If you can get a goodnight sleep many of the symptoms of sleep apnea will begin to get better and some may even return to normal over time. The earlier you have it treated the better your life will be!